If you could select one word to replace your name, what word would it be? 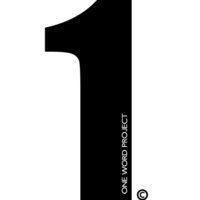 The One Word project is a black and white portrait photography project created to allow students to self reflect in order to take a deeper look at their own character. Simply select one word to represent your "ideal self" and strike a pose for your photo. Come by the OSLI office located in the second floor of the DUC just past the Lair and get your photo taken! No appointments necessary, walk ins welcome. All shoots are from 5 - 7 PM.